United Kingdom Private York and Lancaster Regiment 2nd Bn. Age: 32 Date of Death: 24/07/1918 Service No: 235569 II.C.4. United Kingdom Company Quartermaster Serjeant The Buffs (East Kent Regiment) 1st Bn. Age: 25 Date of Death: 29/07/1918 Service No: 240440 II.C.11. United Kingdom Private West Yorkshire Regt. (Prince of Wales's Own) 1st Bn. Date of Death: 11/08/1918 Service No: 266380 II.D.10. United Kingdom Major King's Royal Rifle Corps Secondary G.S.O.II. 6th Div. (formerly Bde. Major 169th R.N. Div.). Age: 26 Date of Death: 12/08/1918 II.D.11. United Kingdom Private West Yorkshire Regt. (Prince of Wales's Own) 1st Bn. Date of Death: 14/07/1918 Service No: 21423 II.A.8. United Kingdom Private The Buffs (East Kent Regiment) 1st Bn. Age: 19 Date of Death: 02/08/1918 Service No: 203066 II.C.18. United Kingdom Private Sherwood Foresters (Notts and Derby Regt.) 15th Bn. Date of Death: 24/07/1918 Service No: 12851 II.C.1. United Kingdom Private Sherwood Foresters (Notts and Derby Regt.) 15th Bn. Date of Death: 14/07/1918 Service No: 71297 II.A.4. United Kingdom Private West Yorkshire Regt. (Prince of Wales's Own) 1st Bn. Date of Death: 14/08/1918 Service No: 52903 II.E.1. United Kingdom Private Highland Light Infantry 18th Bn. Date of Death: 03/08/1918 Service No: 41469 I.E.7. United Kingdom Sapper Royal Engineers 41st R.G.A. Bde. Signal Sub Sect. Date of Death: 21/04/1918 Service No: 249632 I.D.11. United Kingdom Private West Yorkshire Regt. (Prince of Wales's Own) 1st Bn. Age: 20 Date of Death: 11/08/1918 Service No: 205038 II.D.8. United Kingdom Private York and Lancaster Regiment 10th Bn. Age: 18 Date of Death: 17/08/1918 Service No: 53531 II.E.5. United Kingdom Serjeant Royal Engineers 557th Army Troops Coy. Date of Death: 21/04/1918 Service No: 454871 I.E.12. United Kingdom Private The Buffs (East Kent Regiment) 1st Bn. Age: 18 Date of Death: 02/08/1918 Service No: G/14307 II.C.17. United Kingdom Serjeant Sherwood Foresters (Notts and Derby Regt.) 15th Bn. Date of Death: 28/07/1918 Service No: 5041 II.C.8. United Kingdom Private Duke of Wellington's (West Riding Regt.) 1st/4th Bn. Date of Death: 17/04/1918 Service No: 23359 I.D.3. United Kingdom Lance Bombardier Royal Field Artillery "A" Bty. 150th Army Bde. 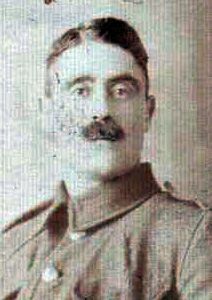 Date of Death: 19/07/1918 Service No: 84538 II.B.12. United Kingdom Private Cheshire Regiment 15th Bn. Age: 19 Date of Death: 16/07/1918 Service No: 40320 II.B.1. United Kingdom Lance Corporal Sherwood Foresters (Notts and Derby Regt.) 15th Bn. Age: 29 Date of Death: 17/07/1918 Service No: 60662 II.B.3. United Kingdom Sapper Royal Engineers 25th Div. Signal Coy. Age: 27 Date of Death: 17/04/1918 Service No: 53513 I.D.2. United Kingdom Driver Royal Field Artillery 41st Div. Ammunition Col. Age: 20 Date of Death: 18/07/1918 Service No: 46285 II.B.8. United Kingdom Second Lieutenant The Buffs (East Kent Regiment) 1st Bn. 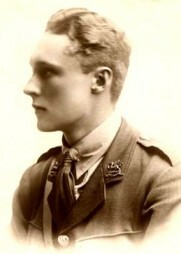 Age: 19 Date of Death: 18/07/1918 II.B.7. United Kingdom Serjeant Royal Field Artillery 24th Bty. 38th Bde. Date of Death: 26/04/1918 Service No: 39859 I.E.2. United Kingdom Private West Yorkshire Regt. (Prince of Wales's Own) 1st Bn. Age: 30 Date of Death: 09/08/1918 Service No: 36091 II.D.7. United Kingdom Private Army Cyclist Corps VIII Corps Age: 19 Date of Death: 30/04/1918 Service No: 13496 I.E.1. United Kingdom Gunner Royal Field Artillery "B" Bty. Age: 24 Date of Death: 26/07/1918 Service No: 237516 II.C.5. United Kingdom Private York and Lancaster Regiment 2nd Bn. Date of Death: 13/08/1918 Service No: 15410 II.D.17. United Kingdom Rifleman Royal Irish Rifles 12th Bn. Age: 19 Date of Death: 26/08/1918 Service No: 50087 I.D.17. United Kingdom Private Cheshire Regiment 15th Bn. Age: 19 Date of Death: 19/07/1918 Service No: 67570 II.B.14. United Kingdom Lance Corporal The Queen's (Royal West Surrey Regt.) 11th Bn. Date of Death: 13/08/1918 Service No: 31130 II.D.12. United Kingdom Private West Yorkshire Regt. (Prince of Wales's Own) 1st Bn. Age: 19 Date of Death: 31/07/1918 Service No: 60692 II.C.14. United Kingdom Sapper Royal Engineers 212th Field Coy. Date of Death: 17/04/1918 Service No: 85893 I.D.15. United Kingdom Private Sherwood Foresters (Notts and Derby Regt.) 15th Bn. Age: 20 Date of Death: 17/07/1918 Service No: 24448 II.B.2. United Kingdom Lance Corporal Lancashire Fusiliers 18th Bn. Age: 20 Date of Death: 17/07/1918 Service No: 41128 II.A.14. United Kingdom Corporal The Buffs (East Kent Regiment) 1st Bn. Date of Death: 17/07/1918 Service No: G/19122 II.B.9. United Kingdom Corporal Sherwood Foresters (Notts and Derby Regt.) 15th Bn. 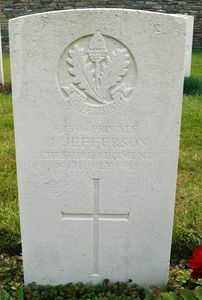 Date of Death: 14/07/1918 Service No: 102801 II.A.3. United Kingdom Private Lancashire Fusiliers 18th Bn. Date of Death: 16/07/1918 Service No: 57742 I.D.8. United Kingdom Private West Yorkshire Regt. (Prince of Wales's Own) 1st Bn. Date of Death: 14/08/1918 Service No: 49553 II.E.2. United Kingdom Private York and Lancaster Regiment 2nd Bn. Age: 21 Date of Death: 17/08/1918 Service No: 24206 II.E.4. United Kingdom Lance Corporal King's Shropshire Light Infantry 1st Bn. Date of Death: 10/08/1918 Service No: 19247 II.D.4. United Kingdom Private The Queen's (Royal West Surrey Regt.) 1st Bn. Date of Death: 07/04/1918 Service No: G/40160 I.D.6. 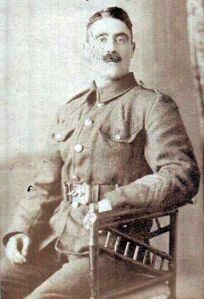 United Kingdom Lance Corporal Sherwood Foresters (Notts and Derby Regt.) 15th Bn. Age: 29 Date of Death: 17/07/1918 Service No: 102086 II.B.6. United Kingdom Captain The Buffs (East Kent Regiment) 1st Bn. formerly 8th Bn. 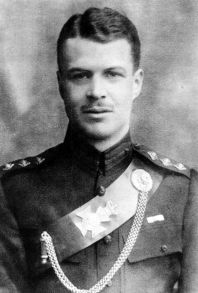 Age: 23 Date of Death: 19/07/1918 II.B.13. United Kingdom Lance Serjeant North Staffordshire Regiment 4th Bn. Date of Death: 24/07/1918 Service No: 55107 II.C.3. United Kingdom Gunner Royal Field Artillery 84th Bty. 11th Bde. Age: 32 Date of Death: 23/04/1918 Service No: 149355 I.D.1. United Kingdom Private Lancashire Fusiliers 18th Bn. Date of Death: 16/07/1918 Service No: 53588 II.A.12. United Kingdom Private York and Lancaster Regiment 2nd Bn. Age: 30 Date of Death: 17/08/1918 Service No: 14/619 II.E.3. United Kingdom Lieutenant The Buffs (East Kent Regiment) 1st Bn. Age: 20 Date of Death: 02/08/1918 II.D.3. United Kingdom Gunner Royal Field Artillery 409th Bty. 96th Bde. Date of Death: 02/08/1918 Service No: 191646 II.C.15. United Kingdom Private The Buffs (East Kent Regiment) 1st Bn. Date of Death: 29/07/1918 Service No: L/6706 II.C.9. United Kingdom Private Cheshire Regiment 15th Bn. Date of Death: 19/07/1918 Service No: 67396 II.B.15. 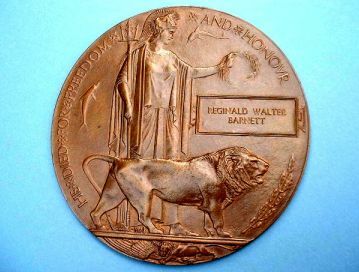 United Kingdom Second Lieutenant South Wales Borderers 3rd Bn. Secondary King's Shropshire Light Infantry Secondary attd. 1st Bn. Age: 28 Date of Death: 24/07/1918 II.C.6. United Kingdom Private King's Shropshire Light Infantry 1st Bn. Date of Death: 13/08/1918 Service No: 34858 II.D.14. United Kingdom Private Lancashire Fusiliers 18th Bn. Age: 27 Date of Death: 16/07/1918 Service No: 39728 I.D.9. 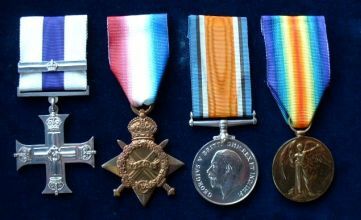 United Kingdom Captain Royal Army Medical Corps Secondary The Buffs (East Kent Regiment) Secondary attd. Age: 43 Date of Death: 02/08/1918 II.C.19. United Kingdom Corporal Cheshire Regiment 15th Bn. Date of Death: 16/07/1918 Service No: 19655 II.A.10. United Kingdom Private Royal Irish Fusiliers 1st Bn. Date of Death: 29/07/1918 Service No: 41941 I.E.10. United Kingdom Corporal Royal Engineers 497th Field Coy. Age: 38 Date of Death: 17/04/1918 Service No: 541338 I.D.10. United Kingdom Private Middlesex Regiment 1st Bn. Age: 32 Date of Death: 20/04/1918 Service No: G/29835 I.D.13. United Kingdom Private Sherwood Foresters (Notts and Derby Regt.) 15th Bn. Date of Death: 10/07/1918 Service No: 22265 II.A.2. United Kingdom Private Sherwood Foresters (Notts and Derby Regt.) 15th Bn. Age: 18 Date of Death: 27/07/1918 Service No: 73560 II.C.7. United Kingdom Private Cheshire Regiment 15th Bn. Age: 21 Date of Death: 16/07/1918 Service No: 27968 II.A.11. United Kingdom Private York and Lancaster Regiment 2nd Bn. Date of Death: 17/08/1918 Service No: 35982 II.D.19. United Kingdom Private North Staffordshire Regiment 4th Bn. Age: 20 Date of Death: 24/07/1918 Service No: 35893 II.C.2. United Kingdom Sapper Royal Engineers 4th Field Survey Coy. Age: 19 Date of Death: 17/04/1918 Service No: 358902 I.D.5. United Kingdom Major Royal Garrison Artillery 29th Siege Bty. Age: 33 Date of Death: 25/04/1918 I.E.5. United Kingdom Private West Yorkshire Regt. (Prince of Wales's Own) 1st Bn. Date of Death: 29/07/1918 Service No: 49601 II.C.12. United Kingdom Private West Yorkshire Regt. (Prince of Wales's Own) 1st Bn. Date of Death: 09/08/1918 Service No: 306885 II.D.6. United Kingdom Lance Corporal Sherwood Foresters (Notts and Derby Regt.) 15th Bn. Age: 24 Date of Death: 14/07/1918 Service No: 269789 II.B.5. United Kingdom Second Lieutenant Royal Garrison Artillery 114th Heavy Bty. Age: 26 Date of Death: 04/07/1918 I.E.3. United Kingdom Private The Buffs (East Kent Regiment) 1st Bn. Age: 29 Date of Death: 17/07/1918 Service No: G/21140 II.A.7. United Kingdom Private West Yorkshire Regt. (Prince of Wales's Own) 1st Bn. Date of Death: 17/04/1918 Service No: 24920 I.D.4. United Kingdom Private Middlesex Regiment 1st Bn. Age: 35 Date of Death: 20/04/1918 Service No: L/8939 I.D.12. United Kingdom Private King's Shropshire Light Infantry 1st Bn. Date of Death: 14/08/1918 Service No: 15542 II.D.18. United Kingdom Private Lancashire Fusiliers 18th Bn. Date of Death: 17/07/1918 Service No: 62879 II.A.13. United Kingdom Private Seaforth Highlanders Labour Bn. Secondary Labour Corps Secondary transf. to (113830) 40th Bn. Age: 43 Date of Death: 20/08/1918 Service No: 13937 II.E.7. United Kingdom Private York and Lancaster Regiment 2nd Bn. Age: 20 Date of Death: 17/08/1918 Service No: 32950 II.E.6. United Kingdom Lance Corporal King's Shropshire Light Infantry 1st Bn. Date of Death: 13/08/1918 Service No: 23766 II.D.16. United Kingdom Private King's Shropshire Light Infantry 1st Bn. Date of Death: 31/07/1918 Service No: 9858 II.C.13. United Kingdom Lance Corporal Manchester Regiment 2nd/8th Bn. Secondary Labour Corps Secondary transf. to (219737) 738th Area Employment Coy. Date of Death: 25/04/1918 Service No: 5203 I.E.8. United Kingdom Private The Buffs (East Kent Regiment) 1st Bn. Date of Death: 02/08/1918 Service No: 265247 II.C.16. United Kingdom Lance Corporal Lancashire Fusiliers 18th Bn. Age: 27 Date of Death: 06/07/1918 Service No: 41156 I.E.4. 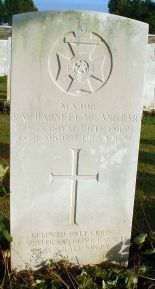 United Kingdom Private Royal Army Medical Corps 34th Field Amb Age: 21 Date of Death: 27/05/1917 Service No: 90349 I.E.6. United Kingdom Private York and Lancaster Regiment 2nd Bn. Age: 19 Date of Death: 06/08/1918 Service No: 33406 II.D.5. United Kingdom Private Sherwood Foresters (Notts and Derby Regt.) "A" Coy. 15th Bn. Age: 30 Date of Death: 14/07/1918 Service No: 70677 II.B.4. United Kingdom Private North Staffordshire Regiment 4th Bn. 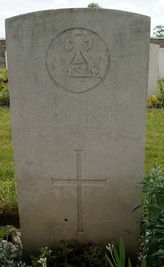 Date of Death: 07/07/1918 Service No: 31707 II.A.1. United Kingdom Private Middlesex Regiment 1st Bn. Date of Death: 20/04/1918 Service No: L/7392 I.D.14. United Kingdom Private King's Shropshire Light Infantry 1st Bn. Age: 20 Date of Death: 14/08/1918 Service No: 27529 II.D.15. United Kingdom Private West Yorkshire Regt. (Prince of Wales's Own) 1st Bn. Age: 19 Date of Death: 11/08/1918 Service No: 59155 II.D.9. United Kingdom Private Royal Inniskilling Fusiliers 7th/8th Bn. Date of Death: 19/07/1918 Service No: 44227 I.E.9. United Kingdom Lieutenant Cheshire Regiment 15th Bn. 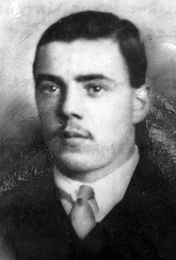 Age: 29 Date of Death: 16/07/1918 II.A.5. United Kingdom Sapper Royal Engineers 4th Field Coy. Age: 35 Date of Death: 14/08/1918 Service No: 551762 I.D.16. United Kingdom Captain The King's (Liverpool Regiment) 4th Bn. Age: 22 Date of Death: 17/04/1918 I.E.11. United Kingdom Private King's Shropshire Light Infantry 1st Bn. Date of Death: 13/08/1918 Service No: 34911 II.D.13. United Kingdom Serjeant York and Lancaster Regiment 2nd Bn. Date of Death: 22/07/1918 Service No: 19717 II.B.16. United Kingdom Private Lancashire Fusiliers 18th Bn. Date of Death: 16/07/1918 Service No: 48008 I.D.7. United Kingdom Gunner Royal Field Artillery "C" Bty. 190th Bde. Date of Death: 17/07/1918 Service No: 182560 II.A.6. United Kingdom Private Cheshire Regiment 15th Bn. Age: 34 Date of Death: 16/07/1918 Service No: 243448 II.A.9. United Kingdom Lance Corporal The Buffs (East Kent Regiment) 1st Bn. Date of Death: 19/07/1918 Service No: G/3475 II.B.11. United Kingdom Private King's Shropshire Light Infantry 1st Bn. Age: 34 Date of Death: 04/08/1918 Service No: 230488 II.D.1. United Kingdom Private The Buffs (East Kent Regiment) 1st Bn. Age: 19 Date of Death: 19/07/1918 Service No: G/14256 II.B.10. United Kingdom Company Quartermaster Serjeant The Buffs (East Kent Regiment) 1st Bn. Age: 25 Date of Death: 29/07/1918 Service No: G/8058 2.C.10. United Kingdom Private The Buffs (East Kent Regiment) 1st Bn. Age: 18 Date of Death: 02/08/1918 Service No: G/14287 II.D.2.